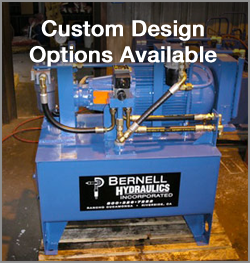 At Bernell Hydraulics, we’ve been a trusted name in the hydraulic parts and service business since 1977. In our many years in the business, we’ve developed a thorough understanding of all things hydraulic, including industrial hoses in Norco CA. We have three fully stocked stores that offer a wide variety of hoses and fittings, so it’s highly likely that we’ll have the products you need in stock. If we don’t, we can easily order them for you and deliver or ship them right to your work site. Frequent leaks or hose failures may mean that you need to choose a different type of industrial hose in Norco CA for your machinery. By investing in hose analysis from Bernell Hydraulics, you can find out precisely which parts are to blame for your frequent hose replacement expenses. You might be using the wrong type of hose that can’t handle pressure fluctuations or your hose might be rubbing holes in itself because it’s not secured properly. When it comes to getting new industrial hoses in Norco CA, you have two options: alter a generic hose to fit your machine, or get a custom made hose from the beginning. Going the custom route offers a way to save time, money, and hassle. We can cut and crimp hoses right in our shop using tools like our Parker industrial hose crimper. You can trust our skilled technicians to do excellent work and provide you with long-lasting, durable hoses that will perform better than generic hoses.